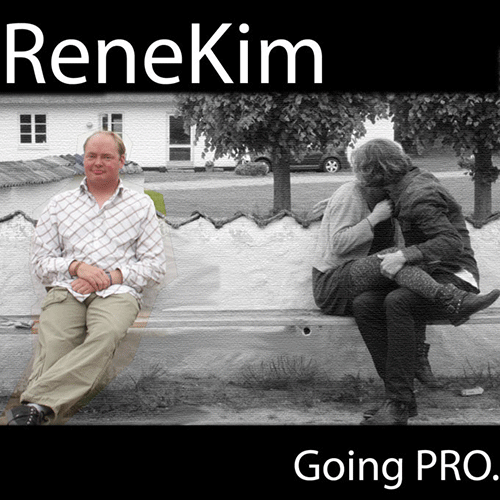 ReneKim has been producing techno for years, and could be said to be somewhat of an underground gem in his native Denmark. Sporting the motto “4 to the floor” like none other I have ever met, ReneKim doesn’t stray far from the roots of techno, but for the occasional poetic Danish vocal cuts here and there. ReneKim’s hedonistic live-show antics even more so reveals his Detroit-connection, screaming and pounding away on his Akai midi-controller like any mad hockey-fan during a Red Wings-game. ‘Going Pro’ consists of six tracks produced during spring 2009, and sounds like something that could easily be a soundtrack for a racing game. Artwork by ReneKim.